We provide great sound gear. Let's make great sound on your next shoot! Jimmy Gilmore is an Atlanta Based Location Sound Mixer available to work locally in the metro Atlanta area. With notice, Jimmy is also available to travel on production throughout the United States. 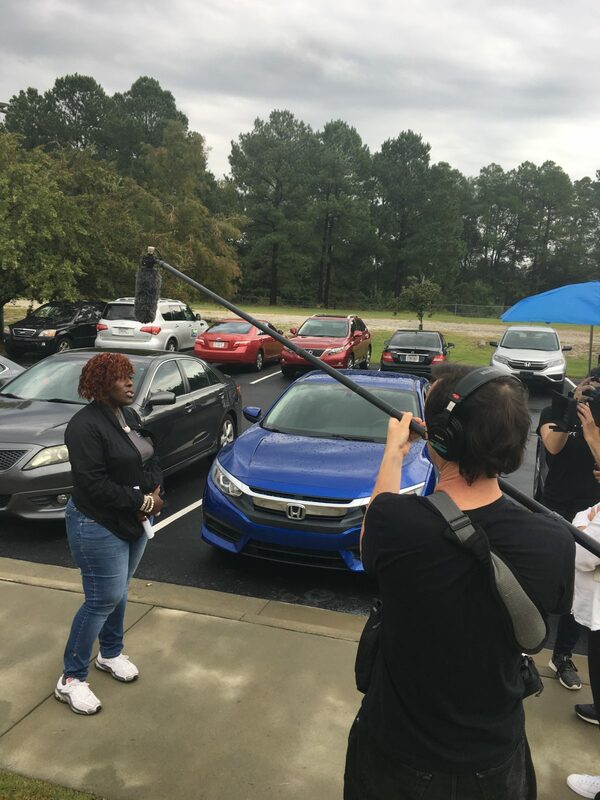 Atlanta based location sound mixer on a documentary shoot. Projects Jimmy has mixed include TV programs, features, commercials, and documentaries. Equipment includes Sound Devices, Sennheiser, Lectrosonics, and Sanken. Stock packages available on short notice. Specialized packages can be configured within a day or two. Please contact us with your requirements. 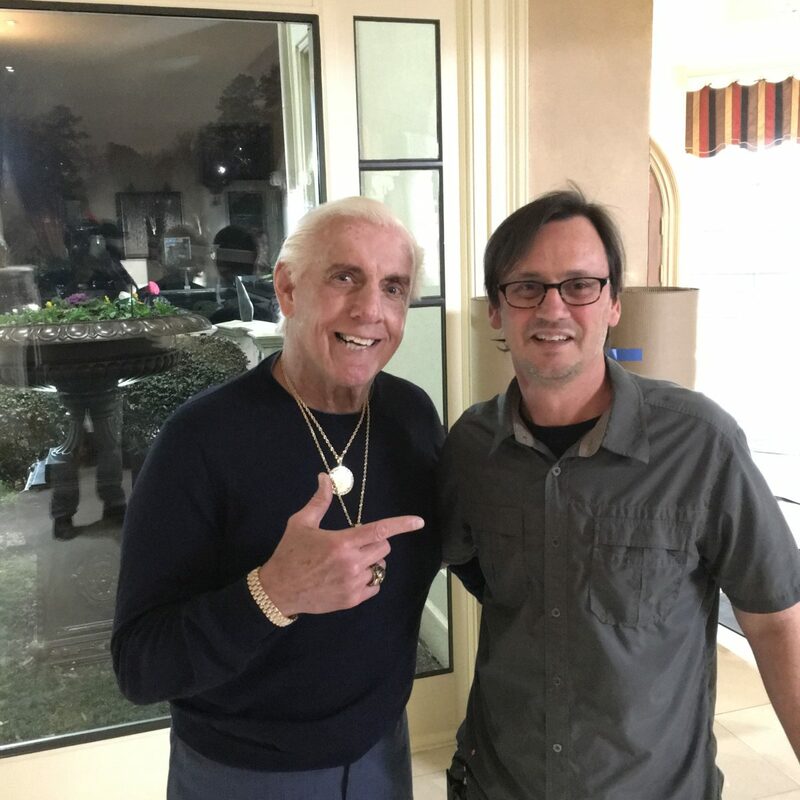 Production sound mixer on set with Nature Boy. We’re comfortable working on set with celebrities and CEOs. We regularly work with names you might recognize. Celebrities include T.I., Rick Flair, Isaiah Washington, JuJu Smith-Schuster, The Migos, Big Shawn and the entire Juventus soccer team. Corporate clients have included Samsung, Mercedes Benz Stadium, Adidas, Cox, Alliance Theatre, Digitas, Facebook, Capital Bank and many more.